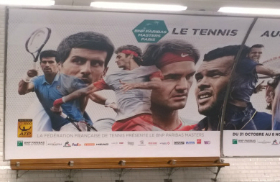 Le guide complet pour vous aider à acheter des billets pour Roland Garros. Si vous avez des questions, n’hésitez pas à laisser un commentaire, je ferai de mon mieux pour y répondre! Depuis 2006, le tournoi commence un dimanche, le premier tour s’étale donc sur 3 jours, du dimanche au mardi. Les autres tous se jouent sur 2 jours. Contrairement à l’Open d’Australie et l’US Open, il n’y a pas de session de nuit, uniquement une session journée. Le calendrier prévisionnel est disponible ici. Les matchs du tournoi Tennis en Fauteuil sont accessibles à tous les titulaires de billets courts annexes. Les billets pour les courts principaux (Philippe Chatrier, Suzanne Lenglen, Simonne Mathieu) donnent l’accès aux courts annexes. Les places sont numérotées sur les courts principaux, sur les courts annexes le placement est libre: premier arrivé, premier assis! Le Court Simonne Mathieu remplacé le regrette court numéro un. 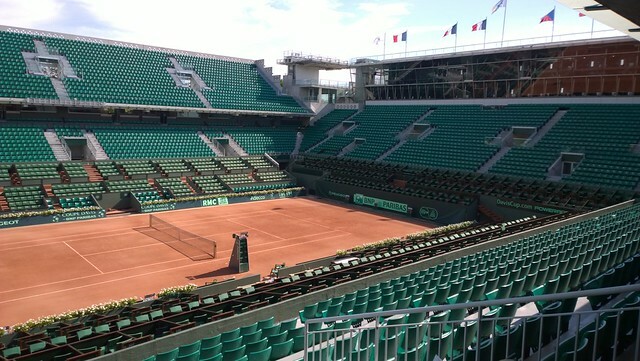 Semi-enterré et entouré de 4 serres contenant de la flore de 4 continents, ce nouveau court, d’une capacité de 5 000 places est le 3ème plus grand court du stade après le Chatrier et le Lenglen. Les courts annexes sont souvent le théâtre de victoires surprises. Lors des premiers tours, il est possible d’y voir les champions s’entraîner. Tickets journée: le billet classique qui donne l’accès au court de votre choix (Chatrier, Lenglen ou Mathieu) et/ou aux courts annexes. A partir de 32€. Attention, l’achat des billets pour les demi-finales messieurs se fait à la demi-finale. Il vous faudra acheter deux billets si vous souhaitez assister aux 2 demi-finales. – week end: samedi 1er et dimanche 2 juin. 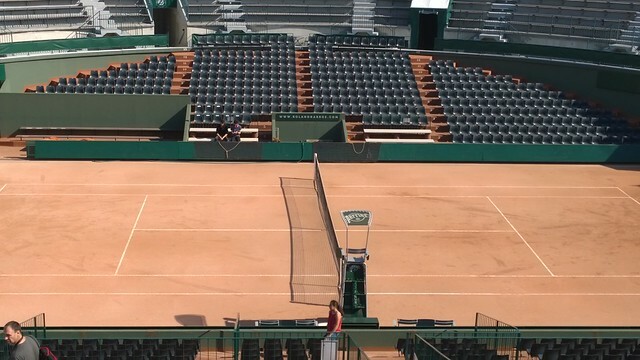 A partir de 200€ pour les 2 jours sur le Lenglen, à partir de 225€ pour le Chatrier. – demi-finales: jeudi 6 et vendredi 7 juin. A partir de 265€. – finales: samedi 8 et dimanche 9 juin. A partir de 295€. 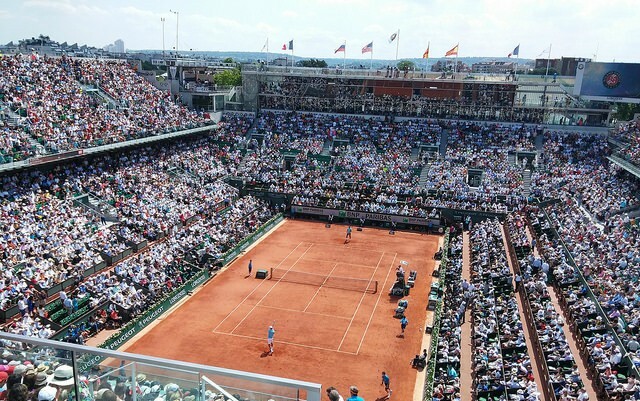 Les offres premium comprennent un ticket pour le Court Philippe Chatrier ou Suzanne Lenglen ansi que certains services: loges, repas, hotels … Plus d’infos sur le site officiel. – 4 tickets pour les courts principaux par personne sur l’ensemble du tournoi. – 12 tickets pour les courts annexes sur l’ensemble du tournoi. Il n’y a aucune vente de billets sur place avant ou pendant le tournoi. Attention, les billets s’écoulent très rapidement. – les agences officielles qui proposent uniquement des offres packagées (billets + prestations). La liste complète ici. La billetterie grand public ouvre le 20 mars. Les billets s’écoulent très rapidement, je vous conseille de vous préparer un peu à l’avance pour le jour J! A partir du 17 avril, vous pourrez aussi acheter et vendre vos tickets sur le site officiel de Roland Garros. Des billets de dernière minute seront mis en vente à partir du 7 mai. – si vous n’avez pas réussi à acheter vos billets, réessayez à partir de mi-avril. 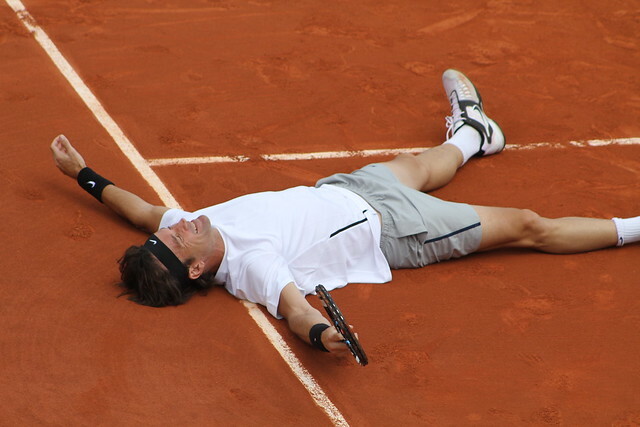 You plan to attend the 2019 French Open? 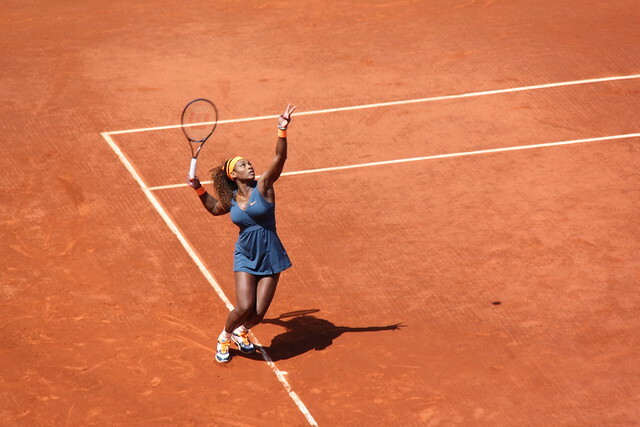 Here’s my guide to help you buy tickets for Roland Garros, the second Slam of the season. If you have any question, feel free to ask below, I’ll do my best to answer. Tickets give access to the entire public area within the stadium. Courts 6 to 18 have unreserved seating and are open to all. Court Suzanne Lenglen is also open to all spectators to watch players from the main draw practising before the tournament starts. 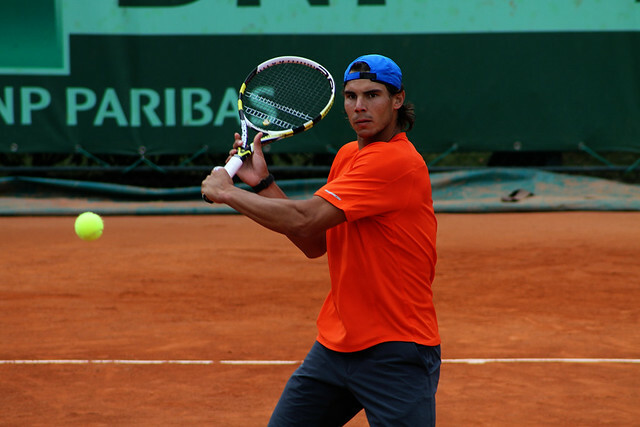 (Check out my report from the 2017 qualifyings: 3 days at Roland Garros: Rafa, Andy, Petra and more). 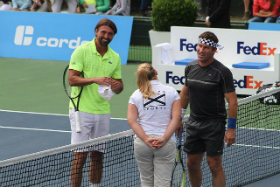 Roland Garros Kids’ Day is a charity event, devoted to fund raising for charitable organisations. On Kids’ Day, exhibition matches are scheduled on the three main courts, with plenty of other activities and practice sessions on the other courts and throughout the stadium. Since 2006 the French Open has started on a Sunday, that means the first round is played over three days from Sunday to Tuesday. Every other round is played over two days. Unlike the Australian and US Opens, there is no night session, only a day session. The Legends Trophy (Trophée des Légendes) brings together twenty-four of history’s greatest champions, grouped according to age in the two men’s draws, and twelve former women’s tennis stars. 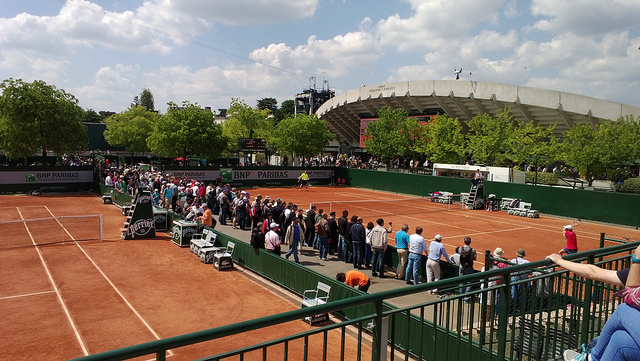 Matches are played on court 1 and court Suzanne Lenglen during the second week of the French Open and can be watched by holders of outside courts tickets. The wheelchair tennis tournament is held during the second week of the French Open. All wheelchair tennis matches can be watched by holders of outside courts tickets. Check out the provisional schedule. 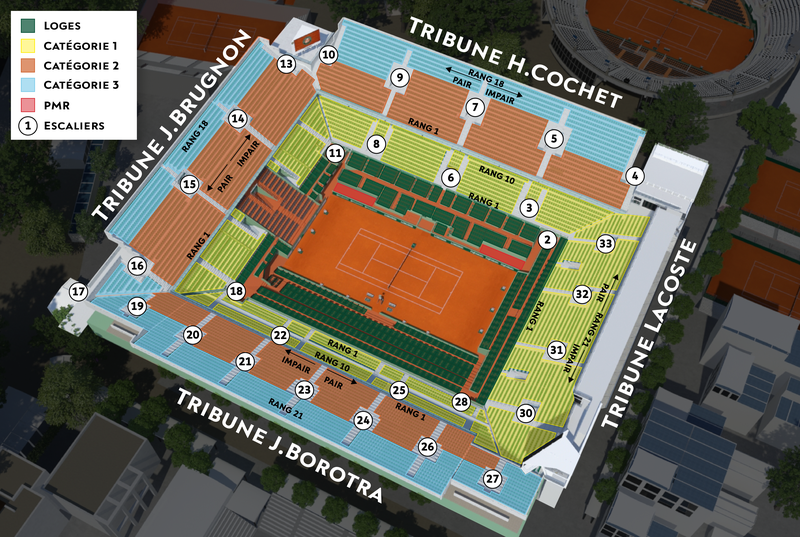 Tickets for show courts (Philippe Chatrier, Suzanne Lenglen, Simonne Mathieu) give you a reserved seat on one of the three main courts and access to the outside courts; there is no allocated seat on the outside courts, seating is on a first come first served basis. Court Philippe Chatrier was built in 1928 as Roland Garros’s centerpiece and remains its principal venue, seating 14,840 spectators. 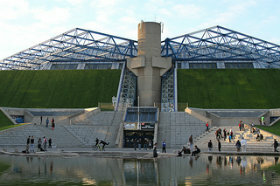 The stadium was known simply as “Court Central” until 1998, when it was renamed for Philippe Chatrier, the long-time president of the Fédération Française de Tennis (FFT) who helped restore tennis as a Summer Olympics sport in 1988. 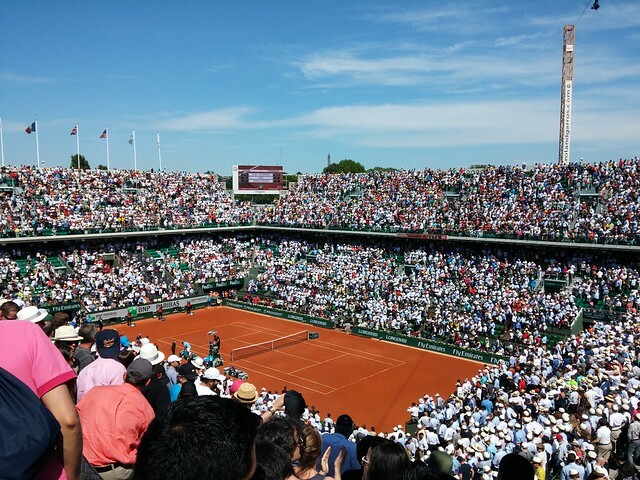 The secondary Roland Garros stadium with a capacity of 10,068 spectators, the court Suzanne Lenglen was built in 1994. Suzanne Lenglen, born in 1899, was the first female tennis celebrity and one of the first international female sport stars, named La Divine (the divine one) by the French press. Court Simonne Mathieu replaces the “Bullring” court number one. Semi-sunken and surrounded by four greenhouses which will contain flora from four different continents, this new court is the venue’s third show court (5,000 seats). The Allée des Serres will link the new court to the historic site and provide an area for spectators to relax and stroll. Courts 3 to 18. Outside courts and have been the scene of some stunning French Open upsets in the past. In the early rounds of the tournament, outside courts are also the place to be to watch the top players practicing. Single all day tickets: Allow a reserved seat on one of the show courts (Chatrier, Lenglen and Court 1) and/or unlimited access to the outside courts. From €32. For the men’s semifinals, tickets are purchased per semi-final. You will need two tickets if you wish to attend both semi-finals. – week end: Saturday 1 and Sunday 2 June. 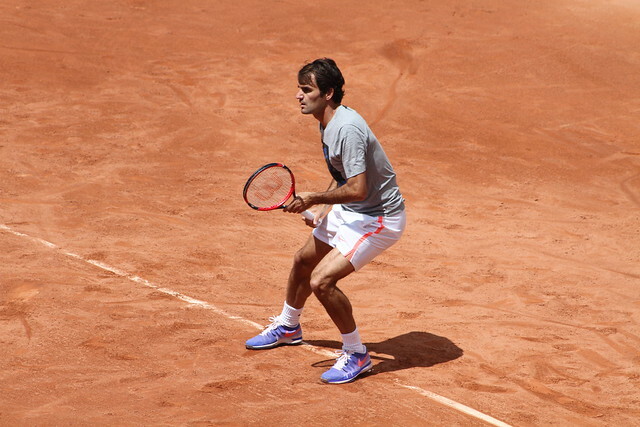 From €200 for 2 days on Lenglen, from €225 on Chatrier. – semifinals: Thursday 6 and Friday 7 June. From €265. – finals: Saturday 8 and Sunday 9 June. From €295. 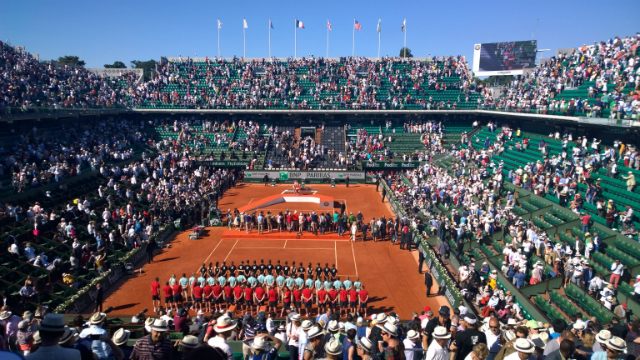 All Premium packages include one ticket to the Court Philippe-Chatrier or Suzanne-Lenglen and dedicated services: lounges, dining, hotels … Premium ticket sales open on March 6. More details on the official website. 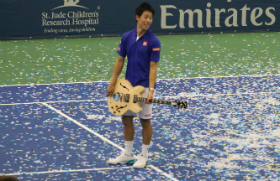 – 4 tickets for the main courts over the entire tournament. Keep in mind that there are no ticket sales at the stadium itself before or during tournament. All bookings have to be made before the event. The tickets sell out really fast, so you better be prepared. Ticket sales open to the general public on March 20. Tickets are sold on a first come first served basis, so check out the website in advance to plan what days and courts you would like tickets for. The e-tickets need to be printed and will be scanned at the entrance gate of the stadium, where a pass will be printed in the name of the ticketholder. These will be checked against an ID to enter the stadium. 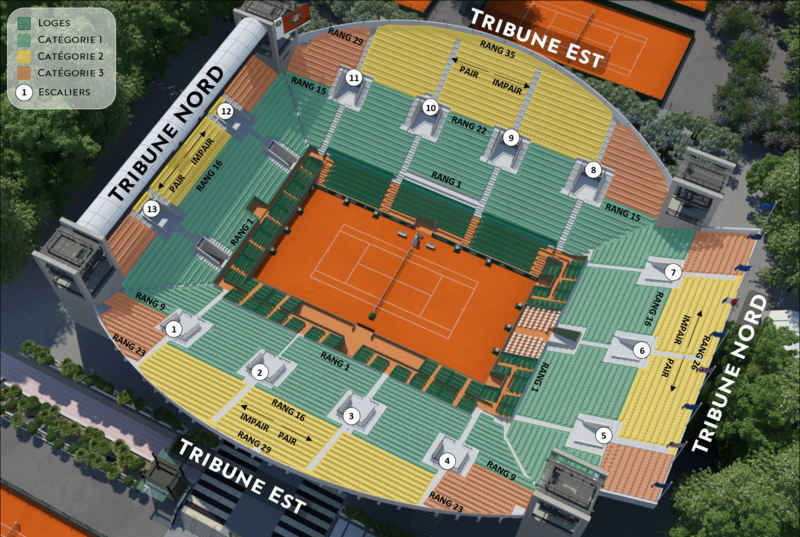 From 17 April, you can also resell tickets via Roland Garros website and buy tickets up until the day of the event, depending on their availability. Last minute tickets will be put on sale on 7 May. 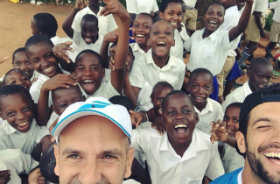 If you manage to get tickets and want to share your pictures and stories on Tennis Buzz, please leave a comment below. Except for qualifiers, there are no ticket sales at the stadium itself before or during tournament. All bookings have to be made before the event. The tickets sell out really fast, so you better be prepared. Tickets for the stadium during the qualifiers give the bearer access to the entire public area within the stadium. Courts 6 to 18 have unreserved seating and are open to all. Court Suzanne Lenglen is also open to all spectators to watch players from the main draw practising before the tournament starts. The Legends Trophy (Trophée des Légendes) brings together twenty-four of history’s greatest champions, grouped according to age in the two men’s draws, and twelve former women’s tennis stars. Matches are played on court 1 and court Suzanne Lenglen during the second week of the French Open. 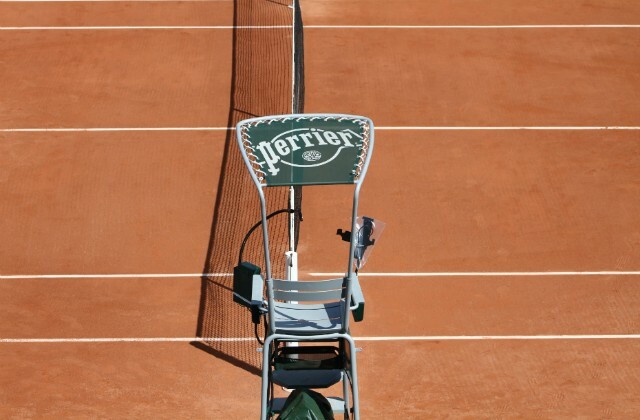 The wheelchair tennis tournament is held on courts 7, 9 and 11 during the second week of the French Open. All wheelchair tennis matches can be watched by holders of outside courts tickets. Tickets for show courts (Philippe Chatrier, Suzanne Lenglen, court number one) give access to the outside courts; you will be assigned an allocated seat for the whole day. On the outside courts, seating is on a first come first served basis, there is no allocated seat. Nicknamed the “Bullring” because of its circular shape – is a favorite among serious tennis fans because of its relatively small size ( 3,800 seats) and feeling of close proximity to the action. Courts 2, 3 and 7 are the main outside courts and have been the scene of some stunning French Open upsets in the past. 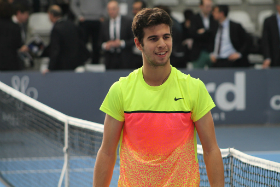 In the early rounds of the tournament, outside courts are also the place to be to watch the top players practicing. Individual all day tickets: Allow access to outside courts and the show court of your choice. Evening Visitors from 24 May to 1 June: Tickets to outside courts or one of the show courts from 5pm. Pre-book your tickets from 5 pm on the evening before the day you wish to attend. 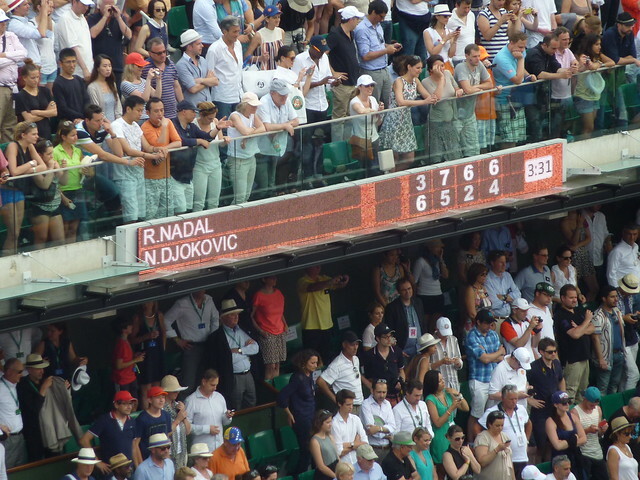 All VIP packages include one ticket to the Court Philippe-Chatrier or Suzanne-Lenglen and dedicated services: lounges, dining, hotels … More details on the official website. Ticket sales open to the general public on March 11th. Tickets are sold on a first come first served basis, so check out the website in advance to plan what days and courts you would like tickets for. From April, you can also purchase and resell tickets via the Viagogo ticket exchange. You can buy tickets up until the day of the event, depending on their avalaibility. – if you didn’t get the tickets you wanted, try the exchange ticket website (see below) or the evening visitors. If you have any questions, feel free to ask here, I’ll try to answer the best I can. 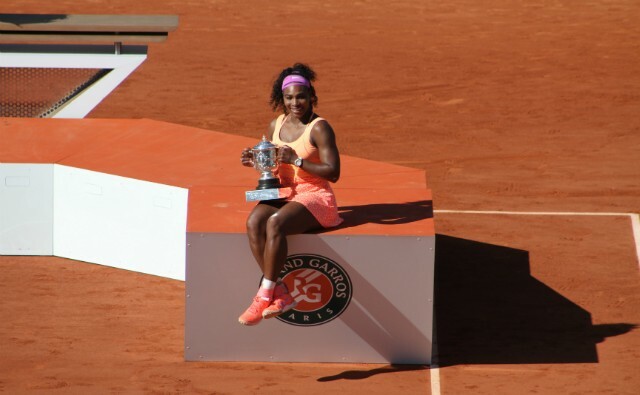 Follow our 2014 French Open coverage on Tennis Buzz. 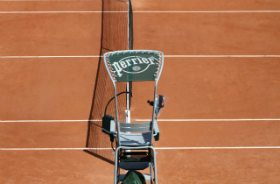 The wheelchair tennis tournament is held on courts 7, 9 and 11 during the second week of the French Open. All wheelchair tennis matches can be watched by holders of outside courts tickets. Courts 2, 3 and 7 are the main outside courts and have been the scene of some stunning French Open upsets in the past. In the early rounds of the tournament, outside courts are also the place to be to watch the top players practicing (check out my pics of Rafael Nadal, Roger Federer, Maria Sharapova and Sam Stosur at practice). Tickets for courts Philippe Chatrier, Suzanne Lenglen and one give access to the outside courts. On main show courts you will be assigned an allocated seat for the whole day. On the outside courts, seating is on a first come first served basis, there is no allocated seat. Evening Visitors from 25 May to 1 June: Tickets to one of the show courts from 5pm. – book your evening ticket online from 5pm the day before your visit. – come to the ticket office at Gate B – Mousquetaires the day of your visit. Afternoon visitors from 25 May to 1 June: Tickets to the outside courts and all the public areas from 3pm. – enter the Grounds directly from 3pm. VIP packages are on sale since January 15th. All the details here. Ticket sales open to the general public on March 12th. Tickets are sold on a first come first served basis, so check out the website in advance to plan what days and courts you would like tickets for. You will then receive an email confirmation with all the details to retrieve you e-tickets. 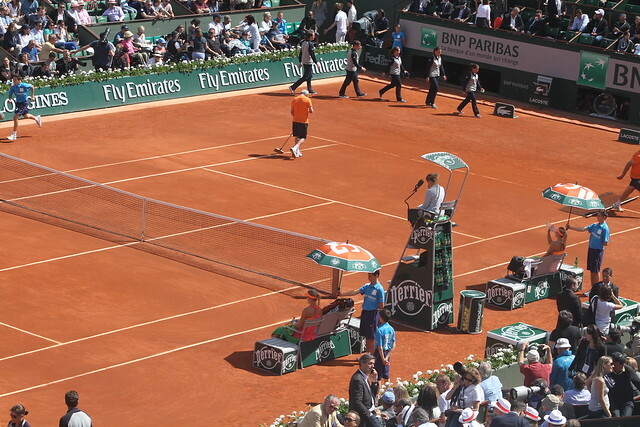 From April, you can also purchase and resell tickets via the Roland-Garros / Viagogo ticket exchange. You can buy tickets up until the day of the event, depending on their avalaibility. You will then receive an email confirmation with all the details to retrieve your e-tickets.